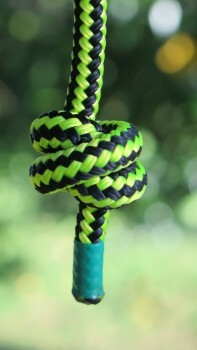 This is a very good stopper knot that tends to stay put. Even in the jiggly world of tree climbing. Once tied check that it has two parallel strands on one side of the knot and the cordage should cross over itself on the other side.